In Mobile, Fragmentation is Forever. Deal With It. 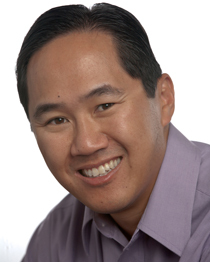 Editor’s note: Richard Wong is a venture capitalist with Accel Partners, an investor in AdMob, GetJar, and SunRun, and a former mobile industry executive. In this guest post he argues that the fragmentation of mobile devices and platforms is here to stay, and offers some advice to entrepreneurs on how to deal with it. Mobile data is on fire. Despite a few false starts, we are now in the midst of a transformative “Open Mobile 3rd Wave” (remember WAP, and J2ME?). We are just in the early swell of the wave; the iPhone itself is not even three years old, and thanks to continued improvements we’re now seeing in smart phones, mobile OS platforms and 3G/4G networks, the raw ingredients are just getting better every month. Per the views of many mobile denizens and thought-leaders such as well-known internet analyst Mary Meeker of Morgan Stanley, I certainly believe there will emerge new industry-transforming Facebooks, Googles, and Yahoos in this mobile wave. However, a key topic discussed by us mobile geeks and startups is the challenge of mobile platform fragmentation. There is an alphabet soup of protocols, standards, and regional differences by country which can be daunting for any entrepreneur. Just look at the range of technologies on handset platforms alone, from iPhone to Android to Blackberry, and even new platforms announced in last 30 days, from WinMo7, to MeeGo, to Samsung Bada, as if we need more platforms to deal with . . .
One of the worst myths floating around the blogosphere is the wait by some for a “unifying technology” that will make things “simpler and easier” to develop services and apps for the global mobile market. At times, some have claimed that Java (J2ME) was the answer, then Flash Lite, then Webkit browsers, and most recently HTML5. While each solution has its merits, there will not be any unification anytime soon. Even as HTML5 richness has improved substantially, browser support will still vary and many, many phones will not support HTML5 for 7+ years. Anyone who is waiting for a single silver bullet to solve fragmentation issues in mobile will be waiting a very long time, especially if they want to go after the global mobile opportunity. As such, it is important for mobile entrepreneurs to wade in and sort it out for themselves. No one is going to flatten the industry such as Microsoft did in the PC-era to make it simple. The realpolitik is that Mobile is truly global, and serves an extremely wide range of countries and users. There will naturally be a wide breadth of technologies, from CDMA vs GSM protocols, J2ME vs BREW, Mobile Apps vs Mobile Web, xHTML vs HDML, SMS vs MMS and others to serve this market. 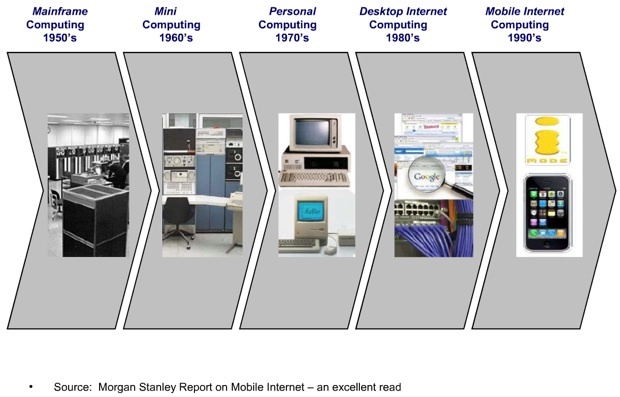 Ask former execs of PSINet (bankrupt operator), AST (bankrupt PC maker) & Packard Bell (bankrupt PC maker) about the impact of the WINTEL “standard” on other PC industry players, and you’ll get a sense why Nokia, Motorola,Verizon, & Sprint aren’t rushing to follow their PC-era predecessors. Common standards = commodity standards for many players in this industry. Sadly, whether or not there is an elegant technical answer, it will be hard to drive any single set of worldwide standards given the different economic incentives of the many players, however good it would be for developers. OK, SO AS A MOBILE ENTREPRENEUR WHAT DO YOU DO? Don’t wait for the Magic Bullet. The first step towards progress is acceptance of reality. I actually do believe that Webkit browsers, HTML5, continued progression of J2ME, Android and iPhone are all positive trends that will help make things easier for many developers, but none of them will be a single-threaded answer. There are too many markets where these solutions are insufficient. For example, India, one of the world’s fastest growing mobile markets is stilldominated by Nokia, which has 70%+ market share. I don’t think developing only for iPhones will be enough to dominate the India market given their < 5% share. Bound The Problem & Get Down the User Learning Curve. So, the critical next step is to limit the boundaries of the problem so you can actually solve it. Are you pursuing an enterprise app or a consumer app? Does your success require broad scale viral use, or is it perfectly good to have 2000 profitable users? Many developers focused on the consumer market are going to find that a blend of mobile web, and prototyping on iPhone-only or Android-only is the right first step and only then expand to broader platforms. Blackberry and WindowsMobile are similarly important in business applications. Rather than the costly efforts of chasing 4-5 platforms at once, focus in on the first one or two, prove your model, then expanding will help to bound the complexity. Geography matters. That said, it turns out that there are major differences by country in the mobile ecosystem. Just as important as the use case, is which country/geography one is targeting first. In Europe, 3rd party retailers such as Carphone Warehouse play a major role, reducing the influence of operator controlled stores. In emerging markets, Nokia is still a major force to be reckoned with. In North America, iPhone is capturing a disproportionate profit share of the industry. Look at the data sources I link to below and understand which handsets dominate which geography—it is very different by region. Get a guide. It is difficult to explain the subtleties of the mobile ecosystem without a longer dialogue, but the good news is that there are quite a few battle-scarred mobile veterans around that can help you with the Cliff Notes on the industry. Find one to help you. Resources To Tap Into. Whether or not you agree with my opinions in this article, here are some great data sources to learn more. Admob Mobile Metrics—a good summary of trends in the mobile data ecosystem from the lens of Admob’s network. A good view of by-country handset types from their view. Chetan Sharma Consulting—Chetan, as an independent analyst publishes some great research on the trends in the mobile data space. Getjar Mobile Statistics—Getjar is the leading independent mobile app store, and publishes stats on download volumes, handset types, etc. There’s an incredible startup and wealth-creating opportunity in this new arena of Open Mobile. The smartest entrepreneurs will not wait for these fragmentation issues to be solved but are figuring out now how to pick a use case, a core platform, and geography to bound their problem and get going. Once you have initial momentum, you can pick through these fragmentation landmines, and make a 2nd and 3rd step. Don’t wait for the unifying technology to solve these issues before diving in. Its going to be an exciting time to build great mobile companies this next 5-7 years. See you out there.